DMS faculty member David Goodman, M.D., was a member of a committee asked by the Institute of Medicine to study the role of nurses in the health-care workforce. “Nurses already are central to high quality care. 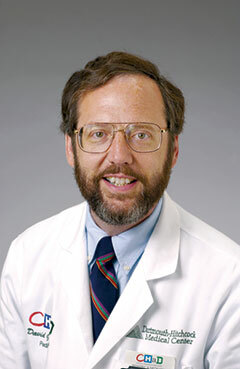 Of any member of the health care team, they have the most enduring relationship with patients and are the most trusted professionals in health care.” said Dr. Goodman, who is also a Professor of Pediatrics and of Community and Family Medicine at Dartmouth Medical School and a practicing physician at the Children’s Hospital at Dartmouth-Hitchcock Medical Center. Among its recommendations, the Committee concluded that to fully take advantage of the skills and commitment of nurses, they must have expanded educational opportunities, and be freed from “scope of practice” regulations that limit the care they can provide. Further, it recommends that nurses be given a greater role in health care redesign and improvement efforts. “We believe the search for an expanded workforce to serve the millions who will now have access to health insurance for the first time will require changes in nursing scopes of practice, advances in the education of nurses across all levels, improvements in the practice of nursing across the continuum of care, transformation in the utilization of nurses across settings, and leadership at all levels so nurses can be deployed effectively and appropriately as partners in the health care team,” write the authors. The nursing population represents the largest portion of the U.S. health care workforce. Yet, it faces many challenges to being integrated as fully as it could be in the provision of care, according to the report. Among these are a lack of diversity in race, ethnicity, gender and age; insufficient education and preparation to adopt new roles; restrictions on scope of practice, limitations by insurance companies, and in some cases “professional tensions” that make it difficult or impossible to practice to their full potential. “Producing a health care system that delivers the right care–quality care that is patient-centered, accessible, evidence based, and sustainable–at the right time will require transforming the work environment, scope of practice, education, and numbers of America’s nurses,” the report states. “This report will advance the nursing profession to the center of leading change and improvement in health care systems as the nation seeks higher value in patient care,” said Dr. Goodman. The Robert Wood Johnson Foundation is a non-profit philanthropic institution, founded in 1936, whose mission is to improve the health and health care of all Americans.